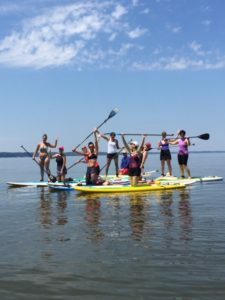 Chickahominy Riverfront Park – launch onto the Chickahominy River and explore it’s rich array of marshes, swamps and the wildlife they support. 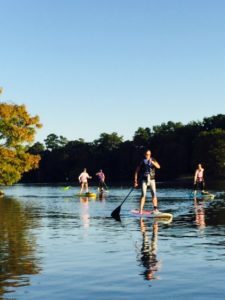 Explore the lore of the Chickahominy River by paddling it’s creeks such as Gordon’s Creek, Morris Creek, Nettles Creek and many more! 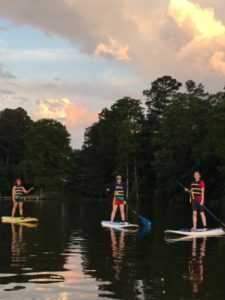 Powhatan Creek Blueway – this waterway is calm and snakes through many neighborhoods and offers you many sightings of the wildlife that call Powhatan Creek it’s home. This waterway also has a lot of history! It is part of the John Smith Water Trail!! 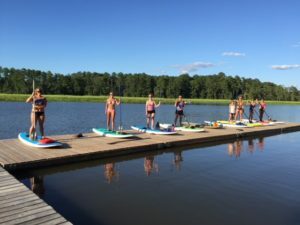 Take Powhatan Creek Blueway to the Jamestown Marina ( about 3 miles) and stop in at Billsburg Brewery for a nice cold beer on their outside deck overlooking the marina. 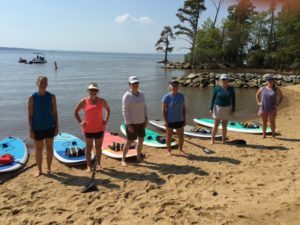 Jamestown Beach Event park – Enjoy a day on the beach and rent some paddleboards to enjoy the James River!!! This is an easy launch site and offers shallow water, beautiful scenery, soft sand bottom. The park also offers bathrooms and concession stands!! This is a great venue to take the whole family!! Plenty of parking! James City County Residents park for FREE, just remember to bring your drivers license to show the attendant. All other residents will have a small fee to park. 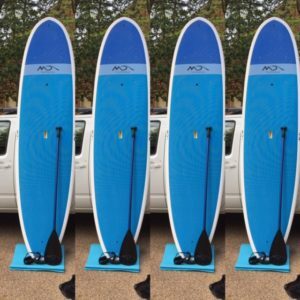 If your are interested in renting a paddleboard please contact us at the link below. ***All rentals, classes, lessons, and outings are subject to the approval of Mother Nature. If a rental, class, or lesson is called off due to weather you will be given a credit for a future rental, class, or lesson. This credit is good all season long.